Yes, anytime a new patient comes to the office, we must personally examine the spine to rule out any new conditions and confirm the existence of the present condition. A good clinical examination is in both our best interests. A thorough chiropractor examination will reveal a solid diagnosis around which an effective treatment plan can be made for your healing and prevention of future pain. We know your time is as valuable as ours. We are all busy! Granted, the first visit is oftentimes a longer session. Each follow-up chiropractor visit may only be 5 to 15 minutes. Be assured, we will spend the appropriate amount of time as is necessary to address the spinal condition, working for that 50% relief of pain according to the treatment plan for Cox Technic protocols. Keep in mind, each visit builds on the one before. We know your spine well after the first and each subsequent visit and can recognize what it needs today. Time is valuable to all of us. We pledge to be on time as best as possible to get you back to your life. Your condition is individual. Your doctor at The Novelli Wellness Center will carefully examine you for any and all symptoms and recommend a treatment plan for you. If at any time in your care, your condition changes, tell us. We will monitor your condition and adjust the plan as required. Contact The Novelli Wellness Center for a thorough examination of your pain due to a bulging disc and a treatment plan to relieve it. Contact The Novelli Wellness Center today for an evaluation of your sciatic leg pain, the first step toward its relief. 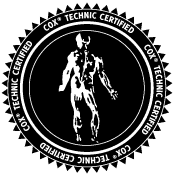 Cox Technic does not claim to cure back pain, but rather Cox Technic Flexion Distraction and Decompression chiropractor protocols set a plan to control it. If you have disc degeneration or tropism or a transitional segment, for example, you will live your life with it. If you have had back pain off and on for years, the affected spinal nerve needs less and less irritation to cause pain. Now, this does not mean that you must live your life with pain. Your body heals with guidance from Cox Technic and some lifestyle alterations. Your understanding your spine pain condition gives you power to control it to some extent. Cox Technic drops intradiscal pressures, widens the intervertebral canal space, increases the disc space height and restores healthy movement to spinal joints. Contact The Novelli Wellness Center to discuss how you can control your back pain so it doesn't control you! Consult The Novelli Wellness Center for a thorough examination and treatment plan to relieve neck-related arm and wrist pain.